The RSLogix™ family of IEC-1131-compliant ladder logic programming packages helps you maximize performance, save project development time, and improve productivity. This family of products has been developed to operate on Microsoft® Windows® operating systems. RSLogix™ 5 supports the Allen-Bradley PLC-5® family of programmable controllers. 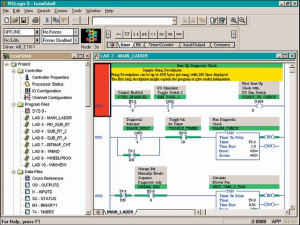 RSLogix 5 programming package is compatible with programs created with Rockwell Software’s DOS-based programming packages for the PLC-5 processors, making program maintenance across hardware platforms convenient and easy. RSLogix programming packages are compatible with programs created with Rockwell Software’s DOS-based programming packages for the SLC 500 and MicroLogix families of processors, making program maintenance across hardware platforms convenient and easy. RSLogix Architect software gives you a single place to manage Logix systems. Simple to use, it helps you efficiently manage controller configuration files, network configurations, Add-On Instructions, user-defined data types and produced and consumed tag relationships. Search multiple projects for tags, programs, routines, AOI, UDT, etc. 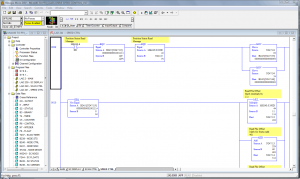 Import and export hardware configuration and Point Tags (Alias Tags) to and from ePLAN Electric P8. Import hardware configuration for Logix from Integrated Architecture Builder. 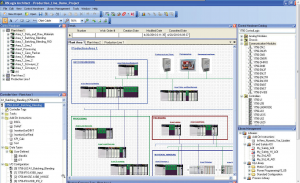 In RSLogix Architect, you create pages which are a graphical representation of your control system. These pages are where you “draw” your control hardware layout — the chassis, controllers, and communication modules that you will use in your automation system. You can also draw networks that allow you to connect the controllers together. 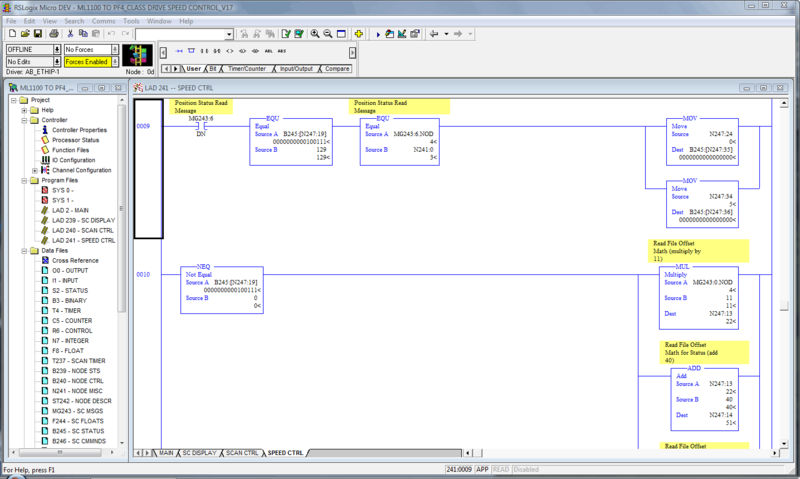 Once controllers are connected together through networks, you can easily configure produced and consumed tag relationships from one location. Also, in RSLogix Architect you can administer your intellectual property, by offering a library to store your Add-On Instructions (including High Integrity and Safety) and user-defined data types. From the library you can now deploy, search and update AOI and UDT across multiple projects form one single place. RSLogix Architect software is the perfect complement to the Integrated Architecture, reducing your development costs and providing more tools for your system management. If you’re using Rockwell Automation’s Integrated Architecture now, or plan to use it in the future, RSLogix Architect software is for you. RSLogix 5000 Enterprise Series software is designed to work with the Rockwell Automation Logix platforms: ControlLogix®, CompactLogix®, FlexLogix®, SoftLogix5800® and DriveLogix®. With RSLogix™ 5000 Enterprise Series software, you need only one software package for sequential, process, drive, and motion control programming. 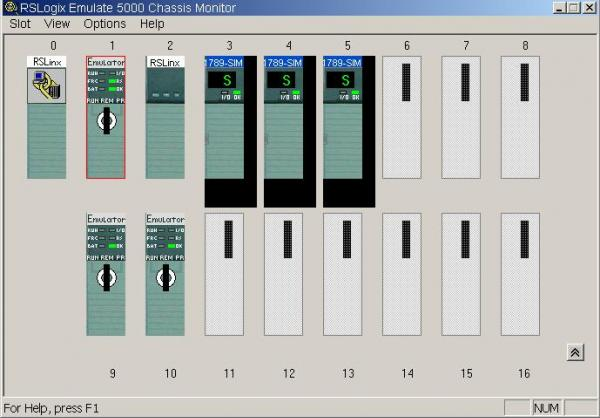 Additionally, RSLogix 5000 Enterprise Series provides support for the S88 equipment phase state model for batch and machine control applications via the PhaseManager™ optional feature. 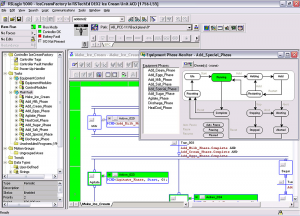 RSLogix Micro programming software allows you to create, modify and monitor application programs for the Allen-Bradley MicroLogix family of controllers. Designed with features to help save time and increase productivity, RSLogix Micro helps maximize performance, save project development time, and reduce the total cost of ownership of your system. 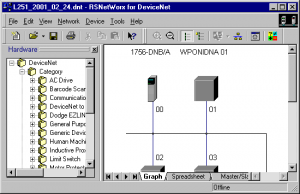 RSNetWorx™ products provide design and configuration management services for ControlNet International’s ControlNet™, and the Open DeviceNet Vendor Association’s DeviceNet™ networks and Ethernet I/P. RSNetWorx allows you to achieve maximum productivity with your ControlNet and DeviceNet installations. You will be able to define and configure the devices on your network quickly through a simple software interface. This definition can take place offline using drag and drop operations or online by using RSLinx® to browse a ControlNet or DeviceNet network.